What led to the spread of tuberculosis in cattle and badgers in Britain? This podcast narrated by Paul Ging includes a highly informative interview with Professor Peter Atkins who led two recent studies on the subject with PhD student Philip Robinson from the Department of Geography at Durham University. While the controversial badger cull to be implemented once again this summer by government has led to a polarised debate between securing the welfare of the country’s badgers and protecting farmers’ cattle, research led by Atkins provides historical insights that could help better inform policy in preventing the spread of TB. meaningfully contribute to the control of cattle TB in Britain. ‘Bovine tuberculosis and badgers in Britain: relevance of the past’. ‘Coalition culls and zoonotic ontologies’. Environment and Planning A. Tuberculosis in animals and in humans has a long history in the UK. Recently it’s been especially troubling for farmers and their cattle in the West and Southwest of England. Tuberculosis or TB is an airborne infectious disease caused by a bacterium that attacks the lungs and other parts of the body. It’s widely known to be carried by certain species of animals known as wildlife reservoirs, of which the European Badger is one. More recently the risk of cattle contracting TB has gained widespread attention as large numbers of cattle infected with the disease have been reported. According to Defra, the UK Department for Environment, Food and Rural Affairs, twenty-six thousand cattle were slaughtered in 2011. TB control in England cost taxpayers 500 million pounds in the last 10 years. 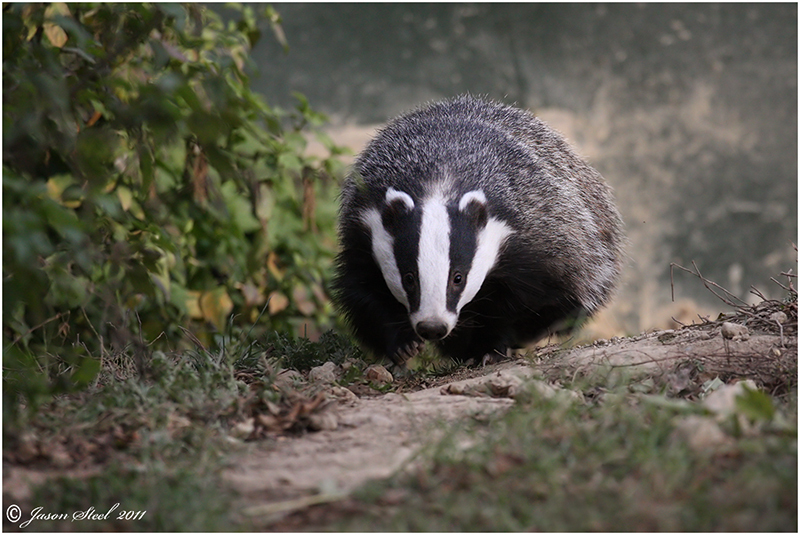 Some farmers and scientists point their fingers at the badger as the cause of the recent outbreak, but the view that the badger is responsible for the recent spread of TB in cattle has been highly controversial amongst researchers and also with the public. Policy to enact a badger cull in attempt to control the spread of TB was passed by government last year, but the cull has been held off until this summer. The plan to cull England’s badgers has been met with outrage from interest groups such as the Badger Trust and animals rights activists throughout the country. 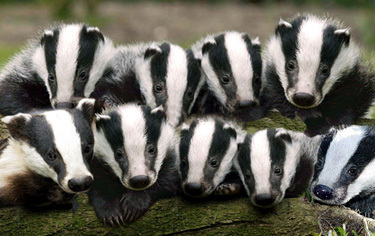 The National Farmers Union and scientists with Defra say culling the badgers would reduce the spread of TB in cattle. But are badgers really solely to blame for the recent spread of bovine tuberculosis? Professor Peter Atkins is from the Department of Geography and Institute of Hazard, Risk and Resilience at Durham University. He has investigated the spread of TB in cattle in England in new research, and he doesn’t think it’s quite that simple. TB has a long history in the UK, especially in cattle where the disease has spread quite quickly throughout the country over the past decades and has shown resilience to several government attempts at eradicating it. Bovine tuberculosis has been around for almost several hundred years, we certainly have evidence of this in the early 19th century, both in Britain and in other continental countries, but it seems to have been concentrated especially in Britain because of the intensive cattle breeding and capital-intensive agriculture in this country from the 18th century onwards. So if you had one animal that was infected it was quite likely that the other animals would become infected as well. And what tended to happen was is that the disease spread through the air, so if you keep your cattle confined in a cattle shed without in terms of too much in terms of ventilation then the disease spreads. So we think the peak of bovine tuberculosis probably was in the middle or late 19th century. Prior to 1960, bovine tuberculosis was concentrated in the counties with the most intensive dairy farming especially in the Northwest, but also the West Midlands, the Southwest and parts of Wales and Scotland. In order for farmers to test their cattle for bovine tuberculosis they used what is called the ‘tuberculin skin test’ where a small amount of the TB bacterium is injected into the animals’ skin, causing an allergic reaction if they are infected. 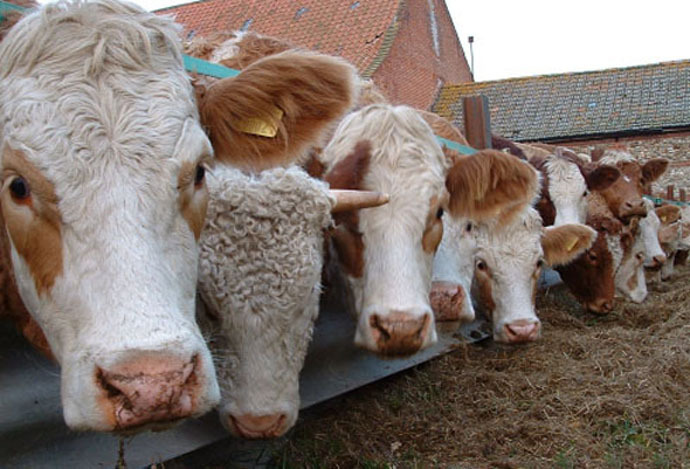 The test revealed that a large proportion of England’s cattle were infected with TB. The skin test in the early 20th century showed the figure was sometime like 40 or 50 percent but almost certainly it was higher than that because firm farmers in Cheshire weren’t putting their cattle forward to be tested if they knew that they were diseased. So we think the figure might have been 60, 70 even 80 percent of cattle. Which is a very high figure indeed. After the Second World War the British government attempted to eliminate bovine tuberculosis by slaughtering all cattle in the country that tested positive for the disease. Any cattle showing the smallest sign of TB were killed leading to the slaughter of entire herds of cattle. The rate of TB dropped dramatically in the 1950s and by 1960 the country’s cattle herds were TB free. And it seems very likely there would have been other animals having the disease as well. So I’m thinking of the wildlife reservoir which includes badgers and some deer species as well. But we don’t have any direct evidence of that until 1971 that’s the first evidence of a carcass of a badger which was proven to have bovine tuberculosis and almost immediately after that, the farmers, the farming lobby began to associate the risk of the disease, the threat of the disease with the wildlife reservoir. Where as previously we had thought it had been cattle to cattle transfer now people thought it was very likely to be badger to cattle transfer. After the carcasses of badgers left from road accidents tested positive for TB, the badger was blamed for the spread of tuberculosis in cattle in England. After protective legislation was passed in 1973 and again in the 80s and 90s the badger population surged, particularly in the southwest of England where before it was kept down by gamekeepers and farmers. In the meantime TB was kept in check in the northwestern counties where the worst outbreaks had occurred. Bovine tuberculosis was completely eliminated from Cheshire and from the northwestern counties which do have badger populations. So that elimination took place in the 1950s. And what you’d expect according to the traditional badger ecology is that bovine tuberculosis would have stayed in the badgers which obviously weren’t culled at that time if there is an association between the two species, but the road traffic accident data shows that that wasn’t the case, in fact only one animal out of I think it’s 400 that were collected over two decades in Chesire was infected with the disease, which doesn’t suggest it was endemic in that particular county. Cattle to cattle transfer of TB is still suspected to this day. In 2001 Britain was dealing with ‘foot and mouth disease’, which also led to the massive slaughter of the country’s cattle causing farmers to bring cattle in from elsewhere inadvertently increasing the risk of TB infection in healthy cattle. Farms needed to re-stock with fresh animals and very often they bought those animals from the southwest which is a traditional cattle breeding area so in County Durham for instance where quite a lot of cattle, where slaughtered as a result of foot and mouth disease cattle were brought in and it’s been shown that actually on several occasions those cattle brought bovine tuberculosis with them into areas which previously hadn’t had it so this was rather ironic. Almost certainly a proportion of the increase in bovine tuberculosis after 2001 is the result of that restocking after foot and mouth disease. But bovine tuberculosis had spread much differently than in previous years leading to a major outbreak in the southwest that continues to this day. If you look at the European distribution of badgers they tend to be concentrated in well the British Isles has quite a high proportion, but especially the southwest of England has one of the highest densities of badgers in the whole of Europe. So this spatial correlation has been made between the tuberculosis in badgers and the tuberculosis in cattle. So there’s that debate then between the degree of responsibility of badgers and cattle. Culling badgers has recently been promoted as a means of preventing the spread of TB, but could potentially worsen the problem if badgers are the main carrier. What was originally thought was that you’d cull the badgers and that would prevent the spread of tuberculosis, but in fact what seems to have happened is the exact opposite because when they are disturbed, for instance, when they’re shot, or gassed or trapped, they seem to know something’s going on. As a result of which is that they escape from that particular area and move a maybe kilometre or more than a kilometre away to join other badger groups. A likely solution to Britain’s TB problem lies in vaccination to prevent cattle from spreading the bacterium that causes the disease in the first place, but unfortunately vaccinating cattle for TB is forbidden by EU rules as it would render the skin test ineffective this is because all vaccinated cattle would then test positive for TB. The search for an adequate TB vaccine for cattle continues, but badgers can be vaccinated now to help prevent the spread of TB, an alternative to culling. Prof Atkins recommends government take a more comprehensive approach in controlling TB, something they have failed to do for the past century. It may be time to learn from history. Because I have historical interests and I always look at the emergence of diseases over long periods of time my recommendation to government would be that they should at least take note of the long history of bovine tuberculosis and the failure of successive governments to actually intervene successfully. The concentration of the disease originally was in the northwest of England and now it’s shifted to the southwest. I think that the ecology of the assumption that badgers are always responsible for the cattle disease has got to be reviewed. The more detailed report ‘Bovine tuberculosis and badgers in Britain: relevance of the past’ can be downloaded by clicking the image above. The report: ‘Bovine tuberculosis and badgers in Britain: relevance of the past’ has been downloaded times.